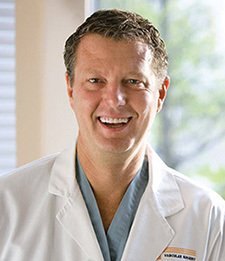 Scott Stevens, MD, Professor of Surgery and Director of Endovascular Surgery, has been named as a 2014 Distinguished Reviewer by the Journal of Vascular Surgery. This honor is reserved for the top 15 percent of reviewers for the Journal which is the premier vascular publication in the world. The award is chosen for quality, quantity and timeliness of reviews. Dr. Stevens has been a reviewer for the Journal for the past three years and has been an author to more than 15 articles published in the Journal. The Cancer Institute at The University of Tennessee Medical Center now offers TrueBeam Technology, opening up treatment options for some of the most complex cancers in areas such as head and neck, lung, prostate, breast, abdomen and liver. 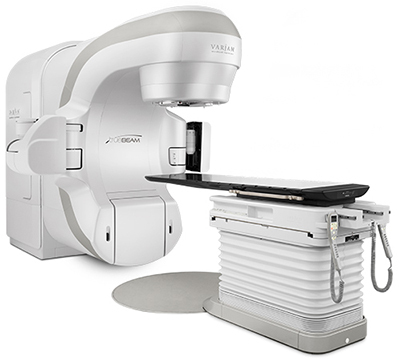 The only one of its kind in East Tennessee, the Varian TrueBeam radiotherapy system makes it possible to perform accurate image-guided treatments faster, with most treatments taking just minutes per visit. The system also features sophisticated motion-management capabilities, which include an advanced “respiratory gating” option for synchronizing beam delivery with respiration. This helps maintain accuracy as the system adjusts its targeting whenever tumor motion is an issue, for example during lung cancer treatments. "The beam arches over the patient, continuously changing the beam strength and the shape of the field to color in the target where the tumor is and sparing normal tissues of significant radiation dose." "The beam arches over the patient, continuously changing the beam strength and the shape of the field to color in the target where the tumor is and sparing normal tissues of significant radiation dose," said Robert Bertoli, MD, Assistant Professor, Radiology. "So the better I am at aiming at the target, the better I am at sparing normal tissues, the less chance I'll have at side effects and the better chance I'll have at giving the patient a good result with control of their tumor." TrueBeam also delivers higher quality images 60 percent faster than was possible with earlier generations of imaging technology. Additional functionality makes it possible to create images using 25 percent less X-ray dose. It is noninvasive and fast, and was designed to address patient comfort. To learn more, visit UTMedicalCenter.org or call 865-305-9040. Each year, medical students as well as undergraduate students are invited to participate in a bench research opportunity at the UT Graduate School of Medicine in honor of I. Reid Collmann, MD, former Dean of the Graduate School of Medicine. Application deadline is February 28 for 2014 assistantships. "It was exciting to see how the basic science knowledge he is learning in medical school can be directly used for research to enhance patient care." Michalik worked in the Shock Trauma and Nutrition Laboratory under the guidance of Michael Karlstad, PhD, Director and Professor. He participated in bench research to better understand the development of diabetes in small animal models. Michalik said he enjoyed the research because he learned unique skills and is now published on a manuscript. Yau participated in bench research under the direction of Deidra Mountain, PhD, Scientific Director and Associate Professor, in the Vascular Research Laboratory looking at matrix metalloproteinase expression in response to cytomegalovirus infection, a virus that may be associated with the development of vascular disease. At the time, research protocols for working with the virus were not in place, so Yau had the opportunity to help develop protocols for cytomegalovirus research as it relates to vascular disease. Of his experience, Yau said he got to learn about research design and implementation first hand and that it was an exciting experience. 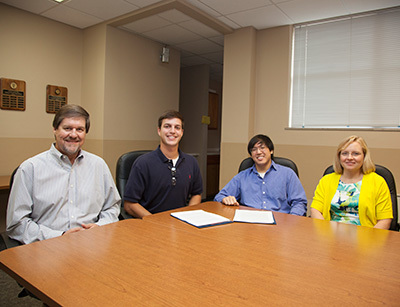 Rinehart had the opportunity to work in the Anesthesiology Research Laboratory under the guidance of Robert Craft, MD, Anesthesiology Vice-Chair, Professor and Residency Program Director, and Russ Langdon, MD, Associate Professor. He participated in several studies including a retrospective study investigating the effect of preoperative antihypertension therapy on intraoperative systolic blood pressure variability in cardiac surgery. He also participated in a retrospective chart review investigating treatment protocol for patients who have suffered from ischemic stroke or subarachnoid hemorrhage. Another project included another retrospective chart review investigating blood pressure variability between epidural administered local anesthetics for cesarean section. Rinehart said his research experiences gave him a new perspective on medical research and that it was exciting to see how the basic science knowledge he is learning in medical school can be directly used for research to enhance patient care. Several midwives and doulas in South Africa now have the skills to save newborn lives because of simulated neonatal resuscitation training made available by Melinda Klar, RN, Administrative Director, UT Center for Advanced Medical Simulation, and Mary Lee Lemley, RN, MSN, Vanderbilt University Medical Center. 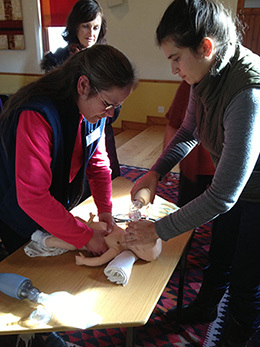 Teaching the workshop in Cape Town, South Africa, Klar and Lemley used MamaNatalie and NeoNatalie, provided by Laerdal Global Health, and Sim NewB to provide hands-on skills training for the American Heart Association’s Neonatal Resuscitation Program (NRP). These models were also used to trial the new Helping Mother’s Survive program on the last day of the workshop. The MamaNatalie with NeoNatalie simulation model is ideal for teaching in parts of the world with limited resources because it requires no electricity or computers to operate and the baby can be made to be very realistic in size and weight simply by filling it with warm water. Klar said the infant model was originally developed to be used for the "Helping Babies Breathe" program developed by the American Academy of Pediatrics to address the large global infant mortality rate attributed to asphyxia. Early studies showed that by focusing on the timely delivery of the essential interventions of drying, warmth, clearing the airway, stimulation to breathe, and occasionally bag and mask ventilation, many babies can be saved. Klar and Lemley followed the NRP curriculum for their workshop, and all of the participants had completed the didactic portion and on-line test for the certification program before the workshop began. "They wanted to learn more and be prepared for anything,"
Klar said what she enjoyed most about working with this group was their enthusiasm for learning new skills. Since the NRP certification program was only available to physicians in their country, they sought out the training, raised money for the course, and actively participated throughout the three-day workshop. "They were asking questions we had never heard before," Klar said. Fortunately, the training for this group was proactive rather than reactive. Klar said that out of the entire group of about 20 midwives, none of them reported that they had lost a baby, but all recognized that was not a reason to be complacent. "They wanted to learn more and be prepared for anything," said Klar. Klar said a big key to their good outcomes is that the midwives are rigid in screening the mothers, and if anything does not seem quite right, or the mother is non-compliant with the prenatal care plan, then the mothers are referred to an obstetrician for care. Klar said she hopes to be able to teach simulation training overseas again in the future. 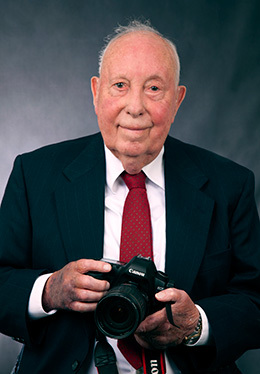 A pioneer to the medical profession and the inaugural chair to the Department of Pathology, Francis Jones, MD, passed away at the age of 91. He served as chair to Pathology for more than 20 years. During that time, Dr. Jones put into practice concepts and programs of quality control and quality assurance that heavily influenced medicine. His blood banking/transfusion medicine practice also reached beyond the region and state, for which he was honored by the American Association of Blood Banks. Dr. Jones received his medical degree from Boston University School of Medicine in Boston, Massachusetts, and was a captain in the U.S. Army. "Many of the advances made in the medical center from the '50s onward occurred with Dr. Jones's active support. Anyone would be happy and proud to look back on such a fruitful career." John Neff, MD, former Chair of Pathology following Dr. Jones, said, "Dr. Jones had been the Chair at UT Hospital for many years before I arrived in 1992. For two pathologists who had never met before my arrival, it felt to me as though we had been associates for years. We were instant professional, intellectual and political allies. Many of the advances made in the medical center from the '50s onward occurred with Dr. Jones’s active support. Anyone would be happy and proud to look back on such a fruitful career." UT Graduate School of Medicine Office of Continuing Education and Professional Development (CEPD) staff received two awards at the 39th Annual Conference of Alliance for Continuing Education in the Health Professionals (ACEHP) in Orlando, Florida, in January 2014 for two CME-certified activities implementing Lean for Healthcare tools. The award-winning activities were planned and implemented by UT College of Business Administration, Center for Executive Education. Also at the conference, Laura Maples, CEPD Director, presented research findings on use of focus groups during a CME activity. The 2014 Outstanding Live CE Activity Award was received for a custom educational activity designed for the Salinas Valley Memorial Hospital (SVMH) to streamline the admission process. The activity combined with team coaching enabled SVMH to streamline admission procedures, reduce 17.4 staff hours per week, and eliminate 80 team phone calls per day. The Outstanding CE Outcomes Assessment Award was presented for an activity that improved outcomes at The United States Air Force 325th Medical Group at Tyndall Air Force Base in Panama City, Florida. After the implementation of the customized Lean for Healthcare process, check-in to check-out times per patient shrank nearly 43 percent, and referrals to specialists were processed within 24 hours with 75 percent fewer errors. As part of a panel discussion at the ACEHP conference on outcomes measurement, Maples discussed the results of a research project conducted with the Office of Medical Education, Research, and Development in which two focus group sessions were conducted during the Ninth Annual Diabetes Regional Conference, March 16, 2013. Participants included a diverse group of 20 physicians, nurses, pharmacists, and dietitians. Feedback from the participants showed the focus groups provided a positive small group setting for multidisciplinary professionals to discuss potential barriers to treatment for diabetic patients. February 28-March 1 -UT Conference Center, Knoxville, Tennessee - Registration is open for the Second Annual Medicine Conference: Today's Technology and Treatment Trends, a continuing medical education conference set for February 29-March 1 at the University of Tennessee Conference Center, Knoxville, Tenn. The conference is approved for AMA, AAPA, AAFP and ACPE credits and CEUs, and registration is available at www.tennessee.edu/cme/Medicine2014. The Annual Medicine Conference will address several pressing issues including management of acute stroke, osteoporosis evaluation and treatment, changes in lung cancer screening guidelines, principles of peripheral neuropathy evaluation, evaluation and management of atrial fibrillation, enhancing office based end-of-life decisions, motivational interviewing techniques, and recognizing signs and treatment options for celiac disease. The conference is well suited for primary care physicians, physician assistants, pharmacists, nurse practitioners, nurses and allied health professionals. Attendees at the Tenth Annual Hematology Conference: An Update on Selected ASH Topics noted the local conference is an excellent opportunity for physicians who do not attend the national conference. The annual update occurs as soon as possible after the American Society of Hematology (ASH) international conference, while allowing time for the featured speakers to develop unique presentations combining their areas of expertise with new information garnered from the ASH presentations. Nationally acclaimed experts in their fields will lead discussions, including Thomas Habermann, MD, Mayo Clinic; Michael Keating, MB, BS, MD Anderson Cancer Center; Craig Kitchens, MD, University of Florida; Rami Komrokji, MD, H. Lee Moffitt Cancer Center; and Sagar Lonial, MD, Winship Cancer Institute. The update is directed by Wahid Hanna, MD, Professor, UT Graduate School of Medicine.